The American Library in Paris was established in 1920 under the auspices of the American Library Association with a core collection of books and periodicals donated by American libraries to United States armed forces personnel serving their allies in World War I. 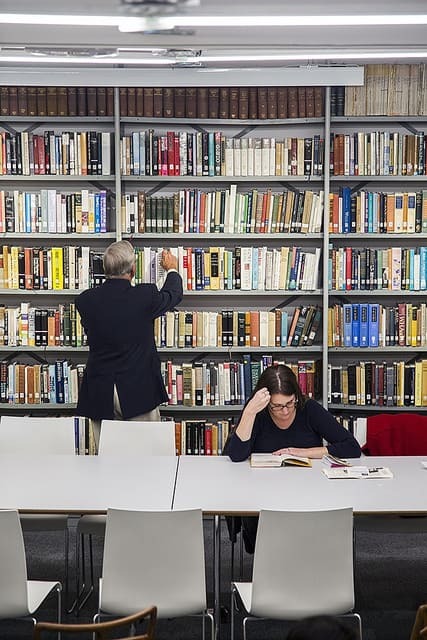 The Library has grown since then into the largest English-language lending library on the European continent. It operates as a non-profit cultural association in France incorporated under the laws of Delaware. To provide access in France to what is best in English-language books, periodicals, and other materials by sustaining and extending a varied and enduring collection. To provide the services of a contemporary American public library. To encourage and support reading in English by children and young adults. To act as an educational support center for people of all ages on their pursuit of formal instruction or personal growth. To promote better understanding between France and the United States by making available the artistic, historical, and business record of the American experience to an international audience.